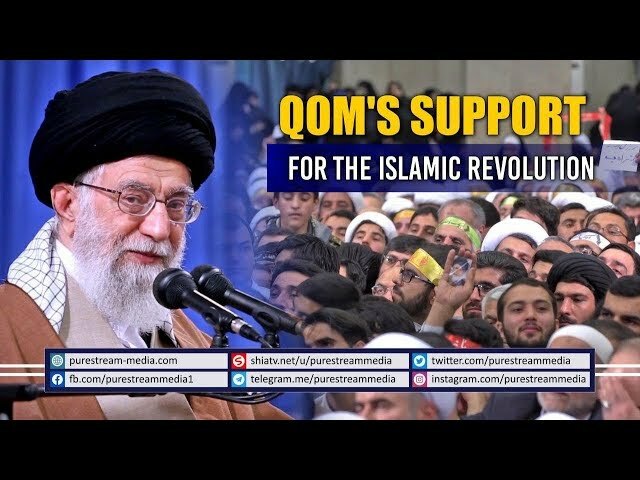 QOM\'s Support for the Islamic Revolution Qom is not only the center of academics, knowledge, spirituality, thinking, and excellence but also a leader in the arena of divine politics. In addition to presenting the theory of divine political system, Qom took a lead in starting this divine movement forty years ago and gave martyrs to implement the divine political system of Wilayat al-Faqih. The Holy City of Qom plays a pivotal role even today. Alhamdolillah. The Leader speaks.